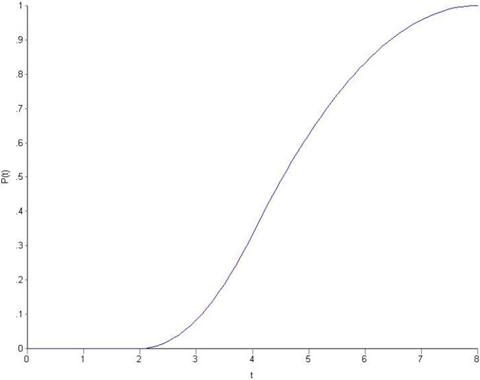 I would propose to introduce a ‘skill’ factor, which represents the circle/square ratio (maybe a normal-Gaussian distribution). 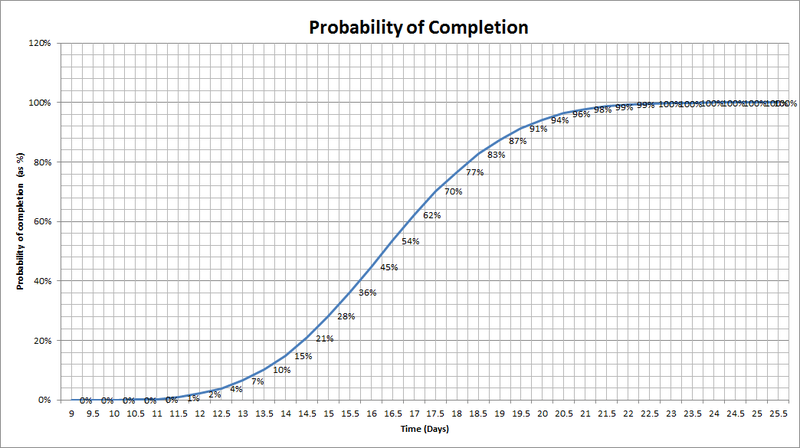 Of course, this skill factor would be very low (high variance) for a drunken player, but would still take into account the fact that throwing darts into a square is not purely random. 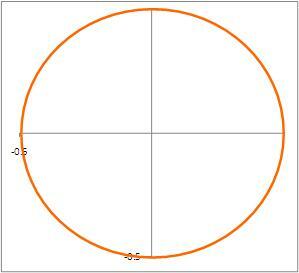 In this post I revisit the drunkard’s dartboard, taking into account George’s suggestions. 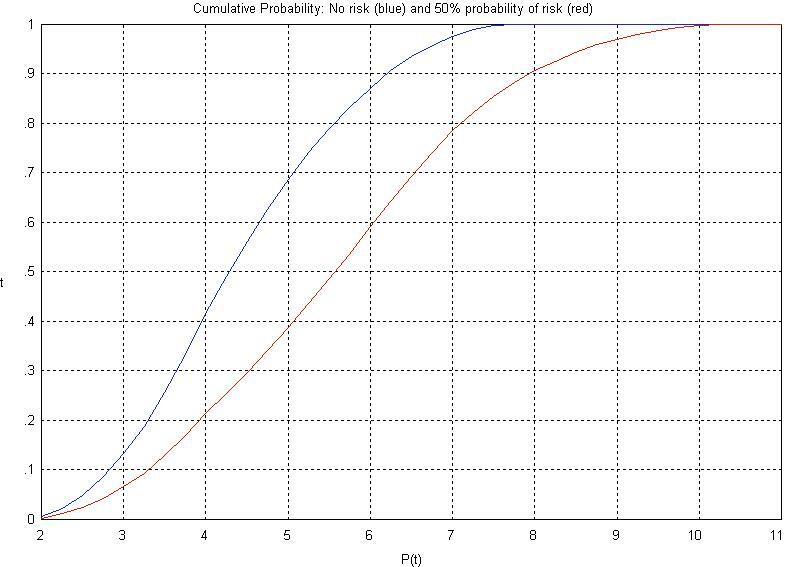 The chance of a hit is greatest at the centre of the dartboard and falls off as one moves away from it. 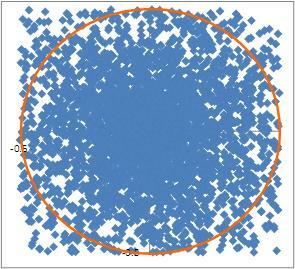 The distribution of hits is a function of distance from the centre but does not depend on direction. 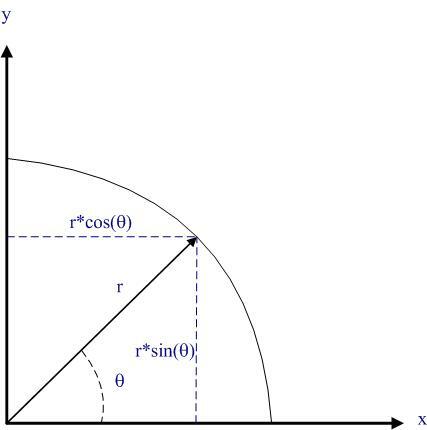 In mathematical terms, for a given distance from the centre of the dartboard, the dart can land at any angle with equal probability, being the angle between the line joining the centre of the board to the dart and the x axis. 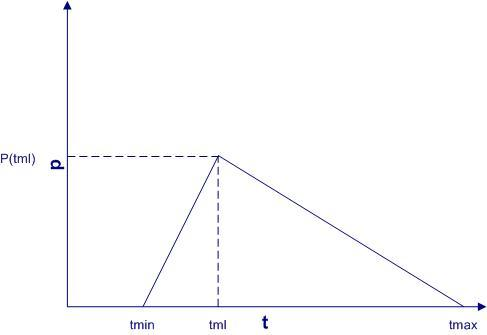 See Figure 2 for graphical representations of a hit location in terms of and . 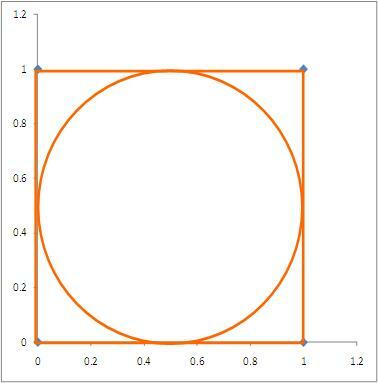 Note that that the and coordinates can be obtained using the formulas and as s shown in Figure 2. 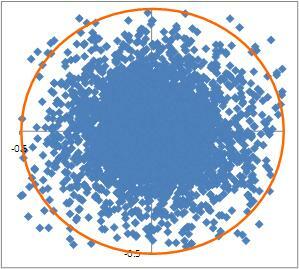 Hits are distributed according to the Normal distribution with maximum at the centre of the dartboard. 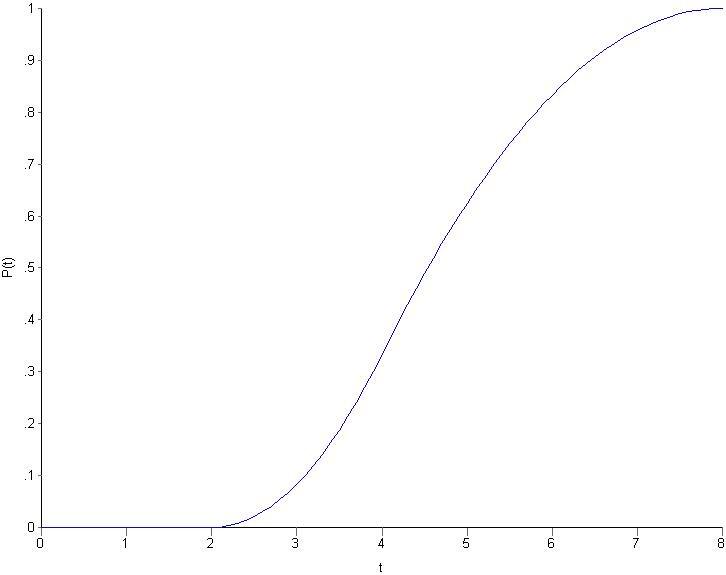 The variance of the Normal distribution is a measure of inaccuracy/drunkenness of the drunkard: the more drunk the drunk, the greater the variation in his aim. These assumptions are consistent with George’s suggestions. 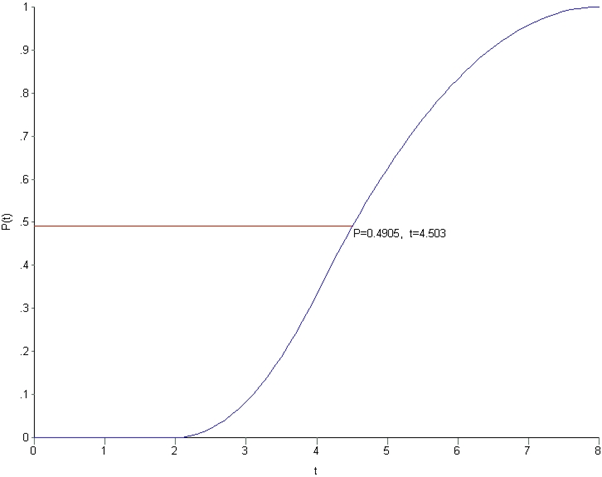 Generate a number that is normally distributed with a zero mean and a specified standard deviation. 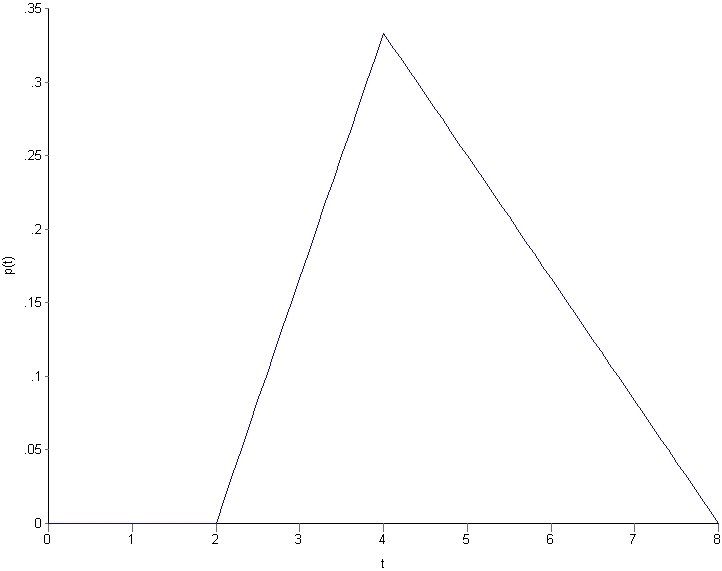 This gives the distance, , of a randomly thrown dart from the centre of the board for a player with a “inaccuracy factor” represented by the standard deviation. 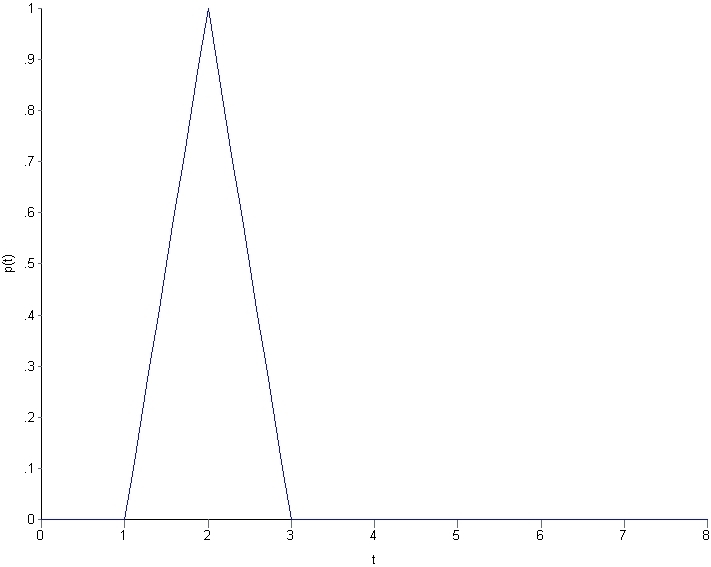 Column A in the demo contains normally distributed random numbers with zero mean and a standard deviation of 0.2 . 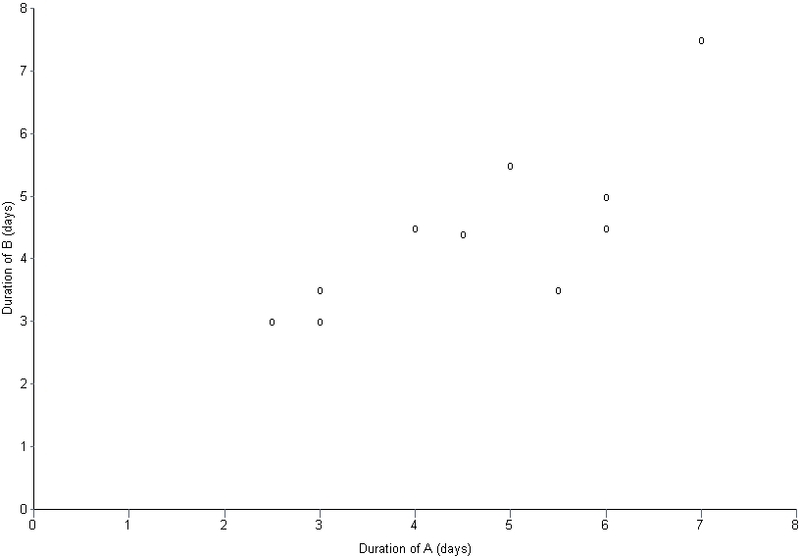 Note that I selected the latter number for no other reason than the results show up clearly on a fixed-axis plot shown in Figure 2. 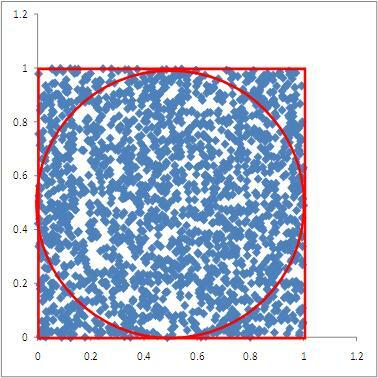 Generate a uniformly distributed random number lying between 0 and . 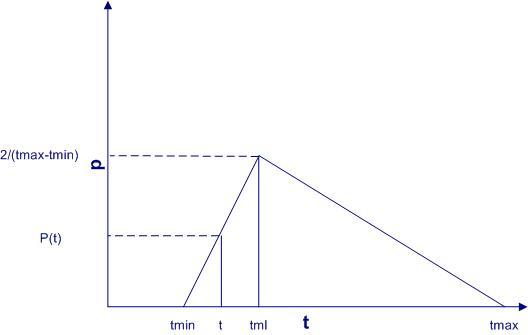 This represents the angle . This is the content of column B of the demo. 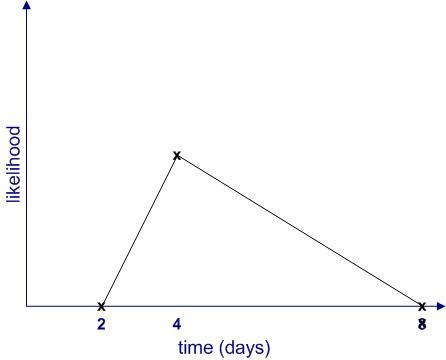 The numbers obtained from steps 1 and 2 for completely specify the location of a hit. 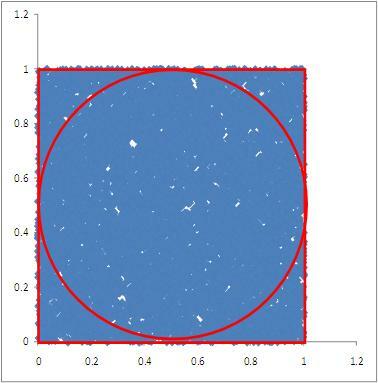 The location’s and coordinates can be worked out using the formulas and . These are listed in columns C and D in the Excel demo. Re-run steps 1 through 4 as many times as needed. 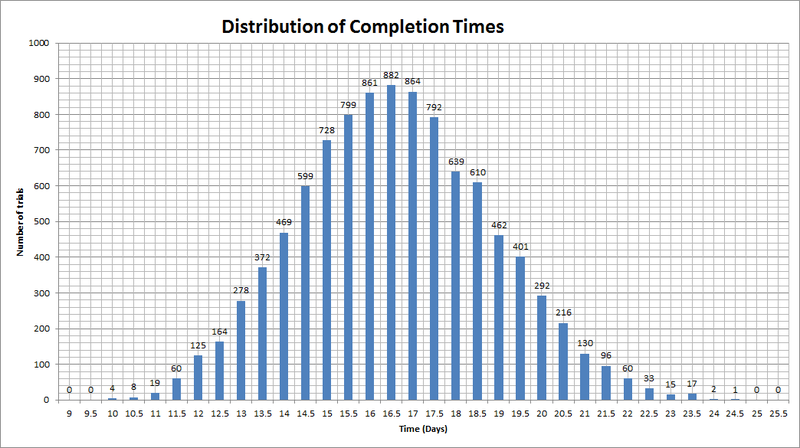 Note that the demo is set up for 5000 runs. You can change this manually or, better yet, automate it. The latter is left as an exercise for you. 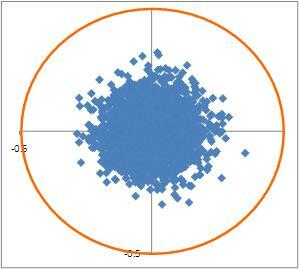 It is instructive to visualize the resulting hits using a scatter plot. 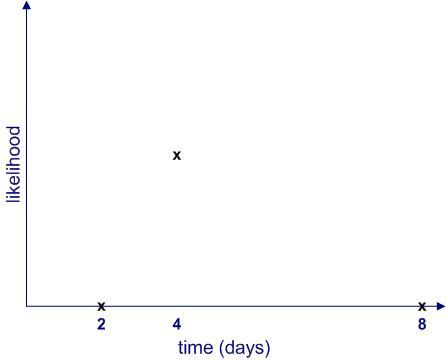 Among other things this can tell you, at a glance, if the results make sense. 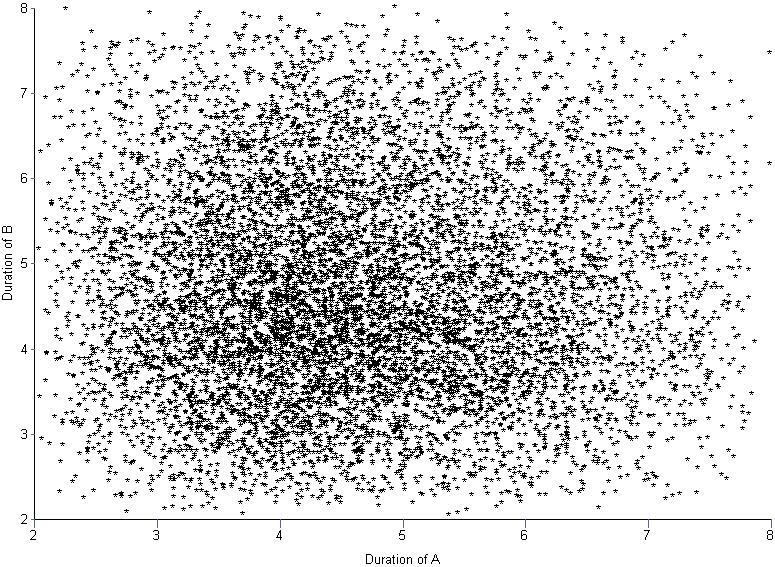 For example, we would expect hits to be symmetrically distributed about the origin because the drunkard’s throws are not biased in any particular direction around the centre). 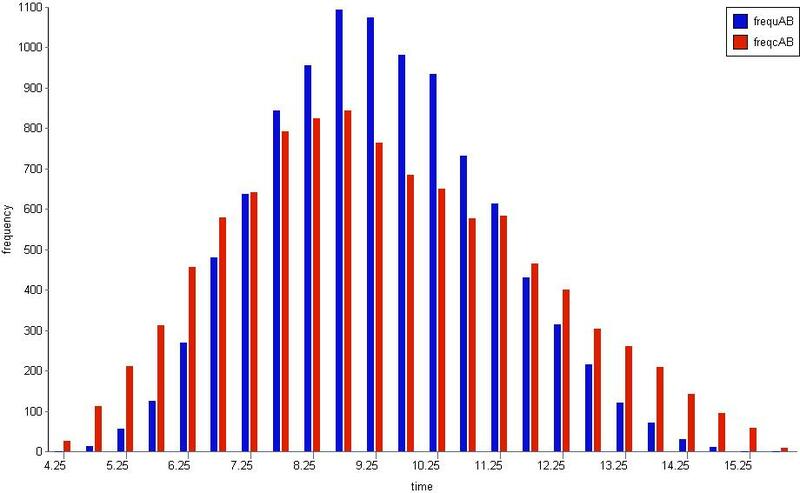 A non-symmetrical distribution is thus an indication that there is an error in the calculations. 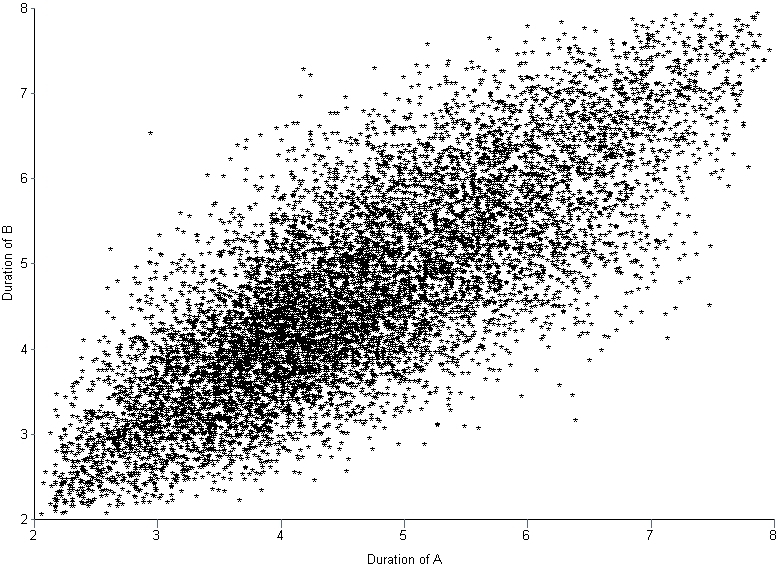 Now, any finite collection of hits is unlikely to be perfectly symmetrical because of outliers. 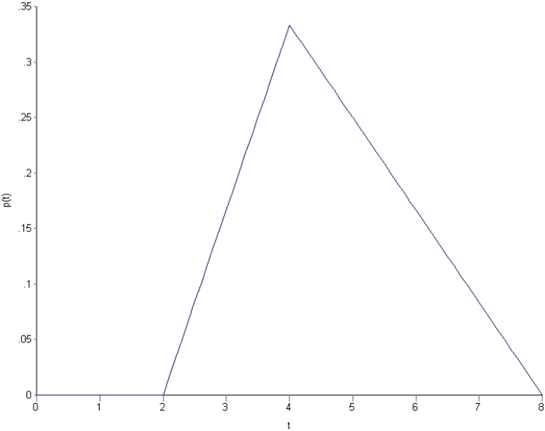 Nevertheless, the distributions should be symmetrical on average. To test this, run the demo a few times (hit F9 with the demo open). Notice how the position of outliers and the overall shape of the distribution of points changes randomly from simulation to simulation. In all cases, however, there is a clear maximum at the centre of the dartboard with the probability of a hit falling with distance from the centre. 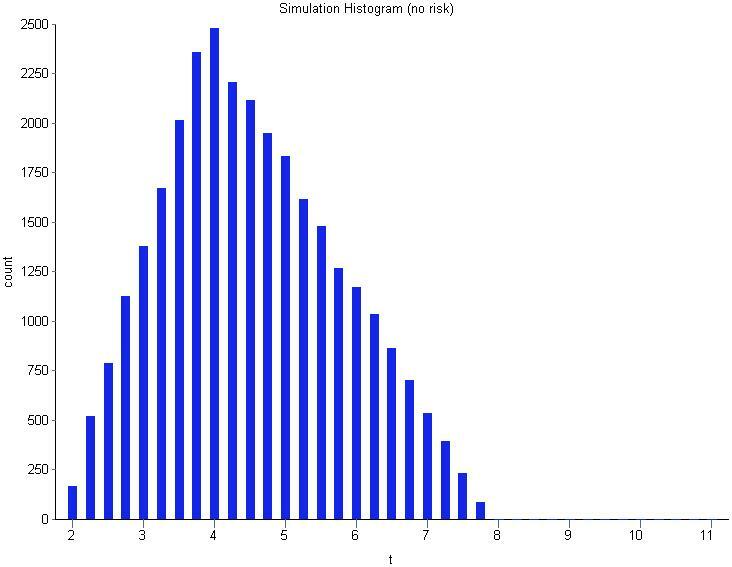 Figure 3 shows the results of simulations for a standard deviation of 0.2. 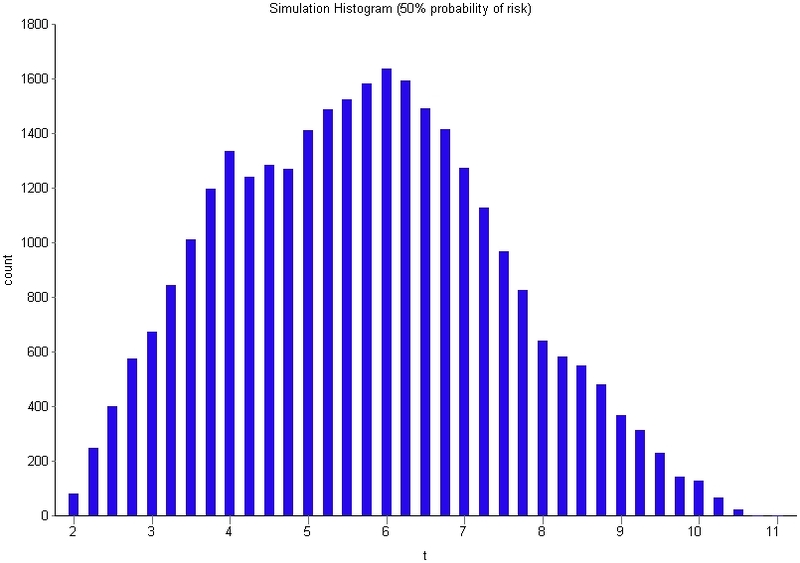 Figures 4 and 5 show the results of simulations for standard deviations of 0.1 and 0.4. 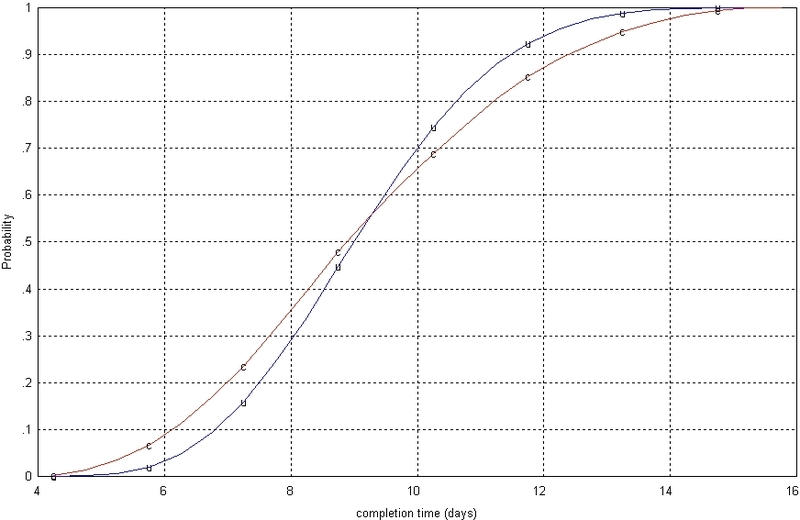 Note that the plot has fixed axes- i.e. 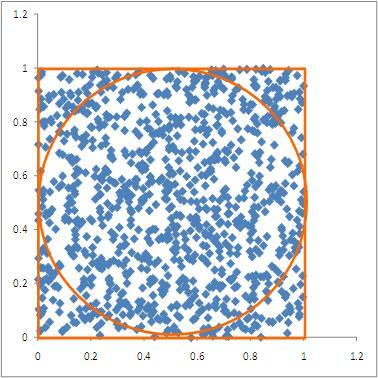 the area depicted is the 1×1 square that encloses the dartboard, regardless of the standard deviation. Consequently, for larger standard deviations (such as 0.4) many hits will be out of range and will not show up on the plot. 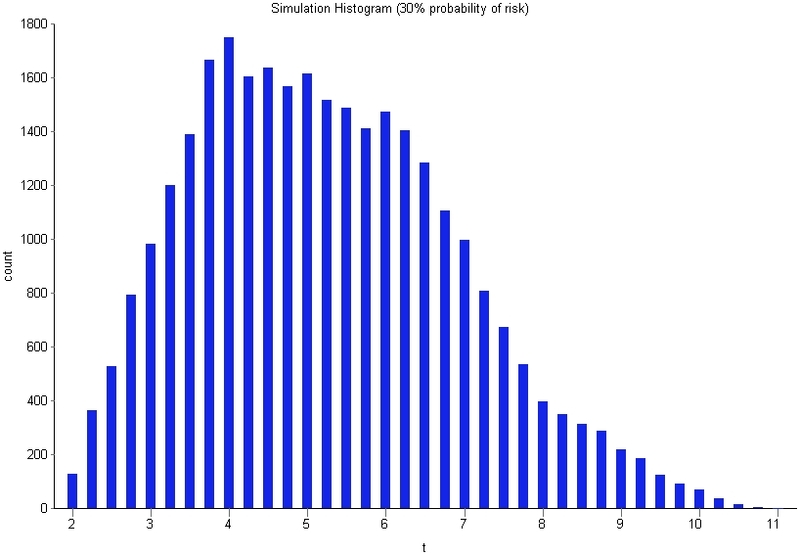 As I have stressed in my previous posts on Monte Carlo simulation, the usefulness of a simulation depends on the choice of an appropriate distribution. 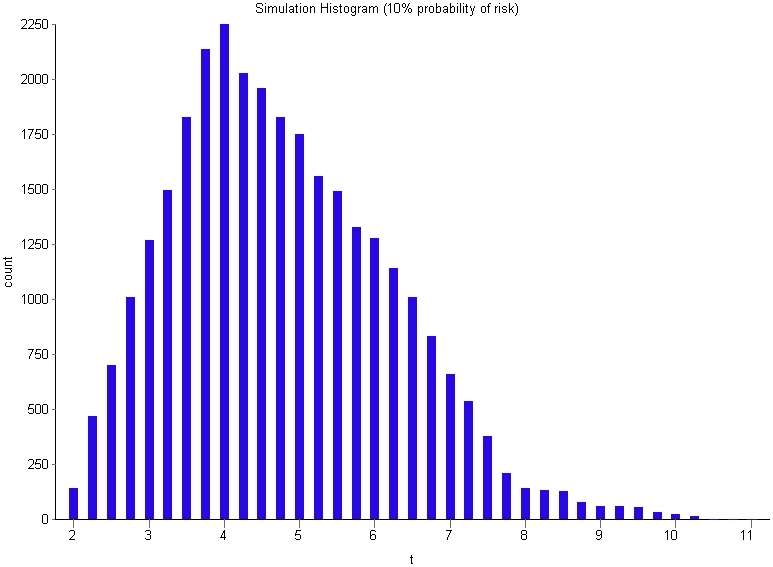 If the selected distribution does not reflect reality, neither will the simulation. This is true regardless of whether one is simulating a drunkard’s wayward aim or the duration of project task. 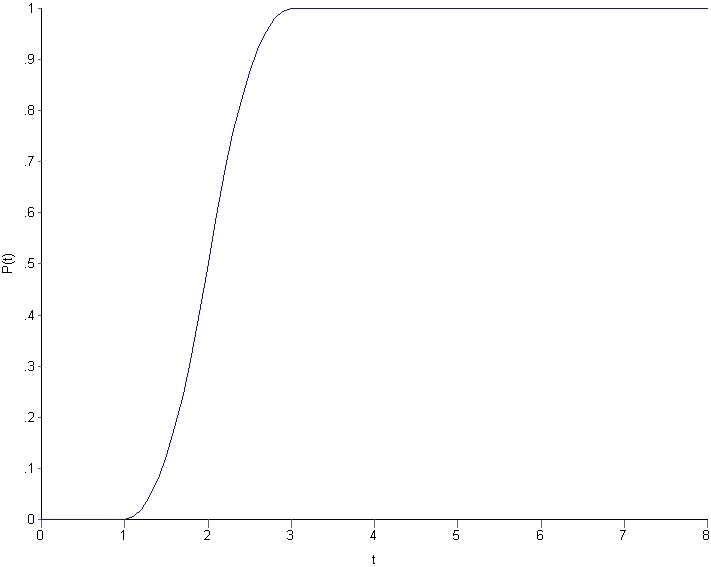 You may have noted that the assumption of normally-distributed hits has no justification whatsoever; it is just as arbitrary as my original assumption of uniformity. 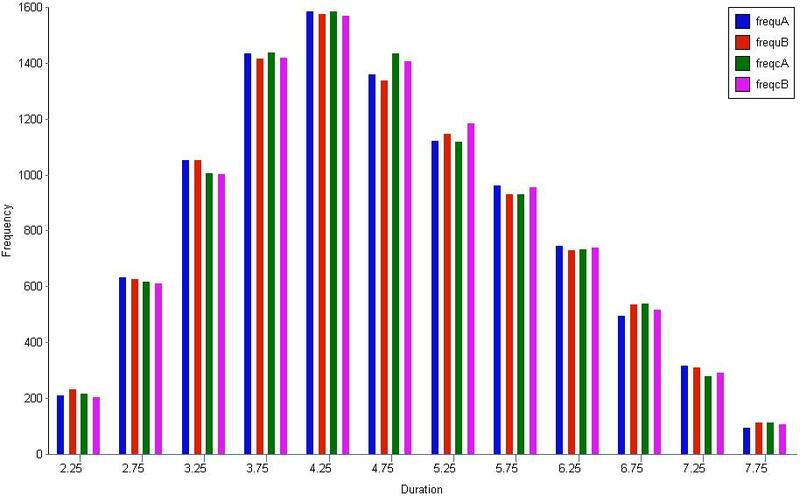 In fact, the hit locations of drunken dart throws is highly unlikely to be either uniform or Normal. Nevertheless, I hope that some of my readers will find the above example to be of pedagogical value. Thanks to George Gkotsis for his comment which got me thinking about this post.